1 – Analyze your needs. Beyond your standard daily desktop printing, how much additional printing do you do? Most printers today are designed to handle copying, faxing, scanning, and emailing documents, so you will want to keep this in mind. What type of document are you printing the most? Do you need full color printing in your day to day business practices, or can you get by with just black and white? 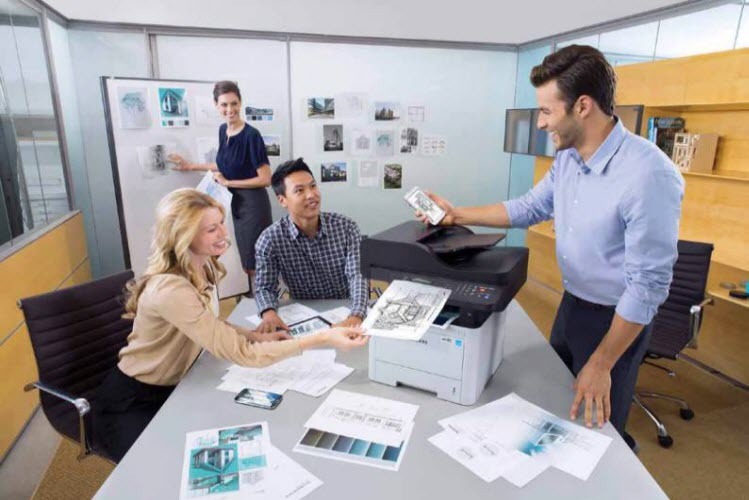 Will your printer be networked among several employees or just one? Can you save money by choosing one higher-duty printer rather than keeping up with several individual printers? How much room do you have to work with? Small businesses often operate in small spaces, so it’s important to remember that some printers are simply bigger than others. Once you’ve taken a look at the type of printing you do, you’re ready to start looking around. Let’s break down some different terminology and features associated with printers to help whittle down what type of printer is right for your needs. 2 – Black and white or color. The foremost decision you will need to make is whether or not you really need to print in color. Most office printing is done in black and white, which explains the popularity of laser printers. 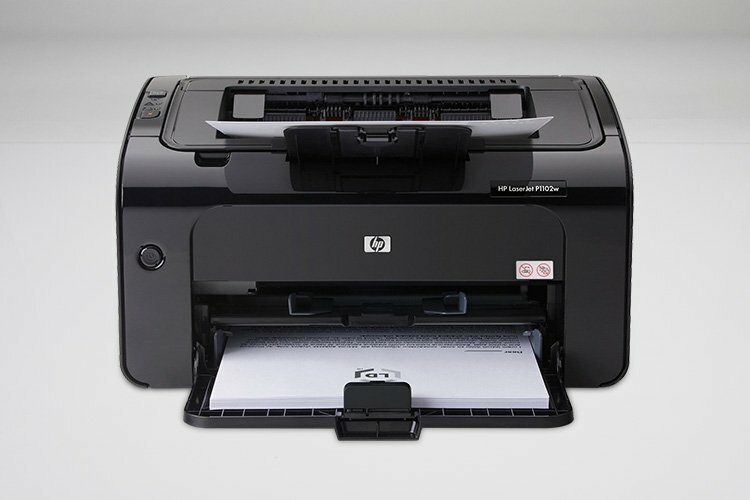 If you’re primarily printing text documents, laser printers are faster and cheaper per print in black and white than their inkjet counterparts. This is especially true if you are looking for an inexpensive, lower-duty printer—cheap inkjet printers require more ink, which can quickly run up costs if you print a lot. If you’re regularly printing color graphs and pamphlets, a color laser printer will be your best option. Color laser printers produce vibrant color images that, while not photo quality, are fast and efficient. Inkjet printers are great for photographers and businesses who don’t print all that much. They create high quality images and can be more affordable than laser printers. 3 – Multifunction vs single function. Printers do more today than they ever have in the past. Your printer can connect wirelessly, copy, scan, print, send emails . . . most of your office essentials can be done in one place, by one unit. Affordable multifunction units are available with USB slots to directly print documents as well. But what if you want a printer that just . . . prints? If you don’t need all the bells-and-whistles, you can get a straight up printer that will suit your needs. That means not paying for anything you won’t use. Plus, there are fewer moving parts that can break down and require maintenance. 4 – Remember the duty cycle. The duty cycle is the amount of pages per month your printer is designed to produce safely. This number is relative and designed to give you a general idea of what your printer is designed to handle. Printing more than the duty cycle can cause your printer to break down earlier and more often. This is especially important for users who print a lot of pages monthly, as you may require a higher volume printer to avoid ongoing troubles. Alternately, if you only print around 1000 pages a month regularly, it makes little sense to invest in a printer that can produce 5000 (which will more than likely cost more). 5 – Cost of ink. A general rule of thumb: the cheaper your printer is at the register, the more you’ll end up spending on ink. Inexpensive printers are designed for users who don’t print that much. As a result, getting the cheapest printer often isn’t the least expensive option if you print regularly. Most printer manufacturers will include a price-per-page in the printer specifications list. Comparing your monthly print needs and the duty cycle of the printer to price-per-page is a valuable resource when choosing the right printer for your needs. As a rule, laser printers produce more pages per ink cartridge for less than inkjet printers do. Toner cartridges can hold enough ink for a thousand pages or more, whereas even high-yield XL inkjet cartridges usually top out around six or seven hundred pages before your next refill. 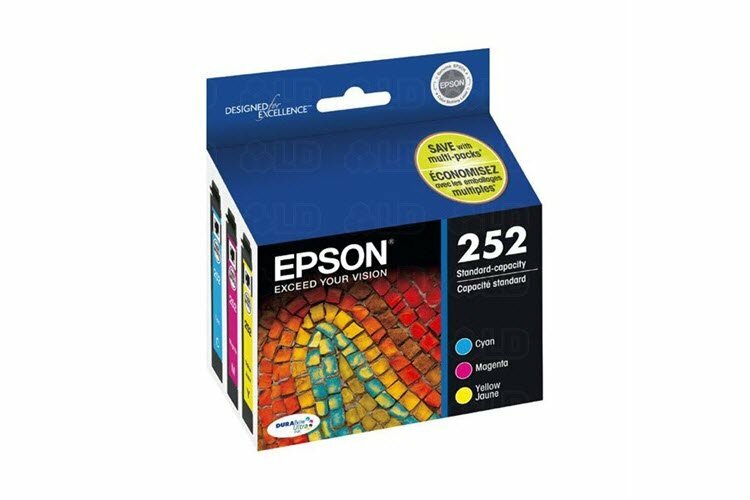 For either option, choosing compatible ink cartridges from a reputable source can save you a boatload of money real quick. They print as well as brand name cartridges, but often cost half as much. 6 – Factor in print speed. Waiting around for your printer to finish up a job is no good. Selecting a printer that can keep up with your needs is important, especially if you have several employees networked through the same unit. Manufacturers will list the pages per minute (PPM) in the specifications for each model to give you an idea of how quickly they print. As a general rule, laser printers work at or around twice the speed of inkjets, though that gap is closing as technologies improve. 7 – Consider cost of replacement parts. Anticipate wear and tear on your printer by taking a look at the cost of replacement parts. In many cases, replacement print heads and drums can cost as much as replacing the unit, especially when you start talking about higher duty printers. 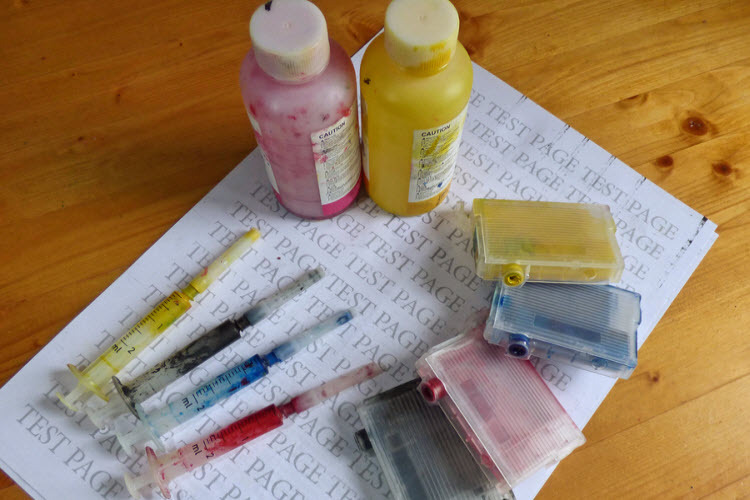 Pay attention to the cost of all consumables, not just printer ink! 8 – Wi-Fi and Smartphone capabilities. Nearly all printers today come with Wi-Fi connectivity. 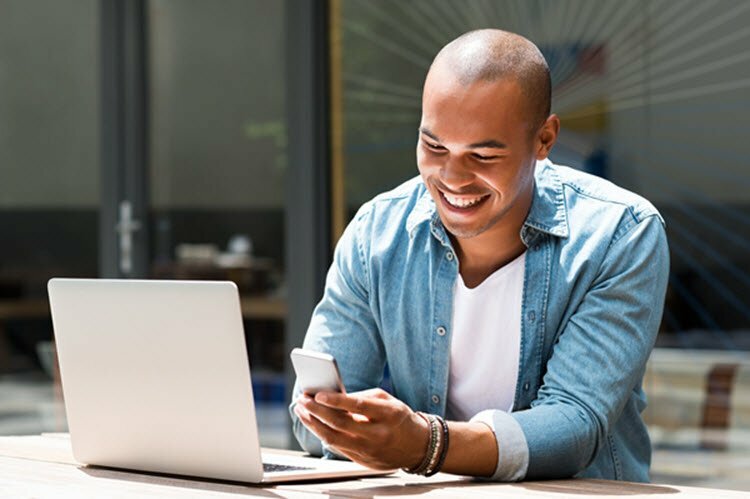 Choosing a unit that can connect wirelessly means adding the ability to store your printer in more convenient locations and networking it among several employees. Newer printers often feature software that makes it easy to connect from mobile technology. As tablets and phones become a bigger piece of the business puzzle, investing in a printer that can easily connect to them puts you ahead of the curve (even if you aren’t using mobile much right now). 9 – Read the reviews. Sometimes a printer unit looks really good on paper, but doesn’t function well in the real world. Reading reviews is one quick and easy way to glean the quality of the unit you’re thinking of purchasing. Check out both tech blogs like PCMag and CNet along with customer reviews on websites like Amazon to get the full picture before you make an investment. A little extra work can save you big headaches in the long term. Finally, if you’re having a tough time choosing between different needs, get a couple printers. Sometimes buying two or three affordable printers to suit your specific needs can cost less in the long run. Plus, you’ll be happier with the results. Happy printing!